Hello! Happy Thursday! 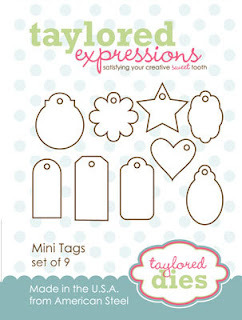 Welcome to Taylored Expressions July Release Day! All of the new Taylored Expressions products are now available in the Fresh Out of the Oven Department. I have a couple of projects to show you today. 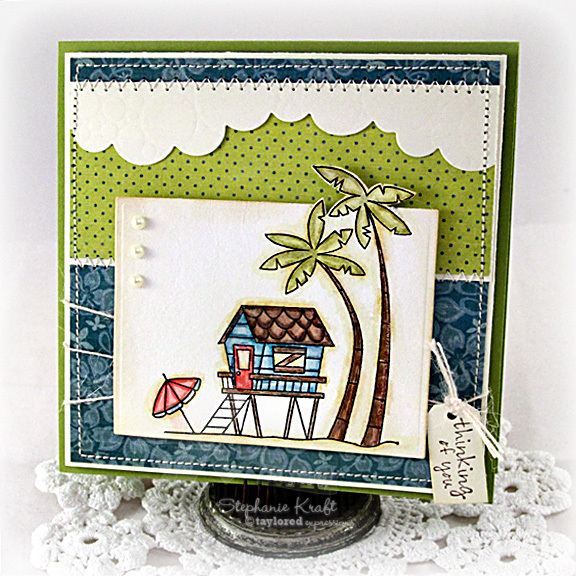 The first is a card using Coconut Cove. It is part of the Apple Doodle Ink line, designed by Doug Applegate and concepted by our DT coordinator, Jami Sibley! Doug's Adorable Abode #7 is where I'd love to spend my summer! I tried my hand at water coloring the image with Tim Holtz Distress markers and a waterbrush pen. I stamped the image onto Choice Watercolor cardstock, then I colored (please go easy on me as this was my first attempt at watercoloring)! Next is a card that I made using Adventure Land, a full set that was also illustrated by Doug Applegate. This fun set was concepted by Sankari! It will have you wanting to run to the nearest fair or amusement park! 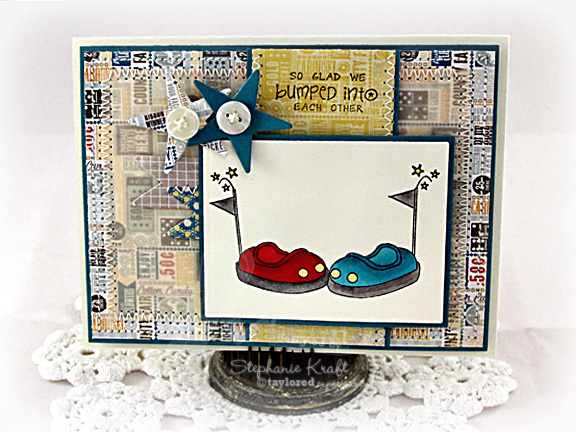 I stamped and colored the bumper cars and also used the sentiment, "So glad we bumped into each other"... :) I used some paper from the My Mind's Eye Miss Caroline Dilly Dally collection, which was perfect with the ticket patterned papers. I toned down the main layer a bit by adding some cream vellum over a portion of it. The two stars are from the Shaped Buckle Die (I added a button in the center instead of making them buckles). Please visit the rest of the Baker's Dozen to see what they have cooked up for you today! Thanks so much for stopping by! I'll be back tomorrow with another release project! Accessories: Cloud Border Die, Mini Tags Die, Waves/BubblesImpression Plate (Taylored Expressions); Rectangle Nestabilities – LG (Spellbinders), Distress Markers (Ranger), Waterbrush pen, Pearls (Kaisercraft), Twine (May Arts), Foam tape, Thread, Sewing machine. 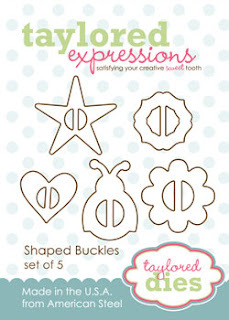 Accessories: Fly Your Flag 2 Die, Shaped Buckles Die (Taylored Expressions); Rectangle Nestabilities – LG (Spellbinders), Markers (Copic), Buttons, Foam tape, Thread, Sewing machine. Both of these cards Stephanie are darling! 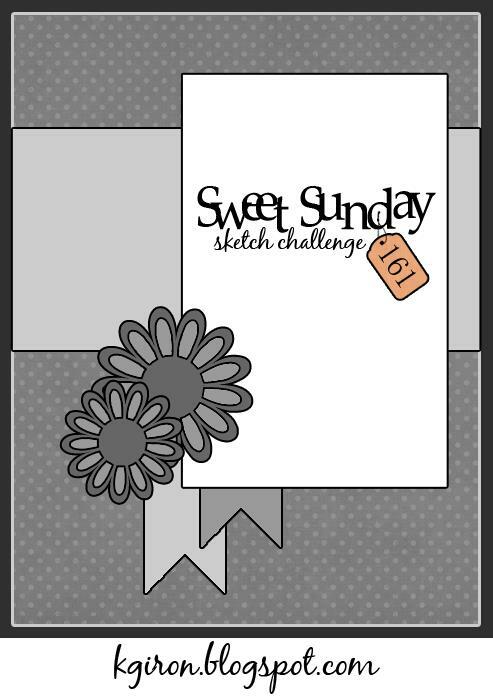 Love the beach scene and sweet tag! The bumper cars are just way too much fun! 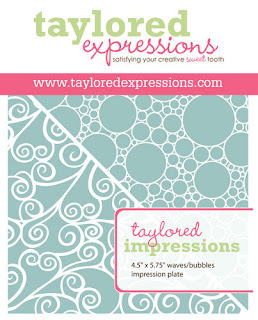 Great mix of patterned paper! Awesome cards! Love the second one, how fun! Adorable! 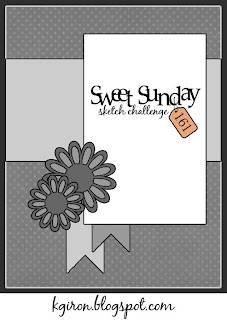 I love the out of the box palm tree fronds and the cloud border on the CC card. And the paper you you chose for AL - how perfect is that! The colors you used for both cards are so nice and rich! Love all your stitching, that's something I'd like to get better at, lol! Simply gorgeous!